Use the same fundamentals with each club. Many golfers find iron play particularly difficult. The long shafts and low degree of loft on the long irons make these tools quite challenging for the average golfer. The mid and short irons are much more forgiving and easier to use, with shorter shafts and a higher degree of loft. The long irons take some getting used to, and with practice on the driving range and a few helpful tips, you can become proficient with all of your irons. 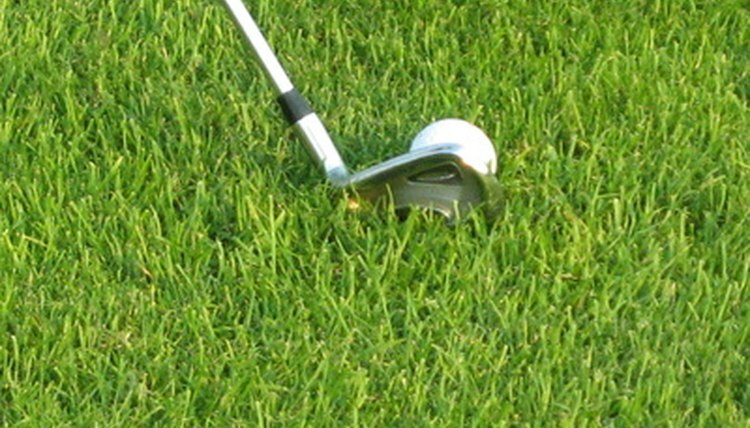 These clubs can come in handy as well if your ball lands in a patch of rough or under trees. An iron can help you escape these difficult situations, as it produces a low, long-flying ball. The lower loft makes a long iron more difficult to hit. The long irons--1, 2, 3 and 4--are likely the most difficult clubs in your bag. These irons have longer shafts and less degree of loft on the clubface. 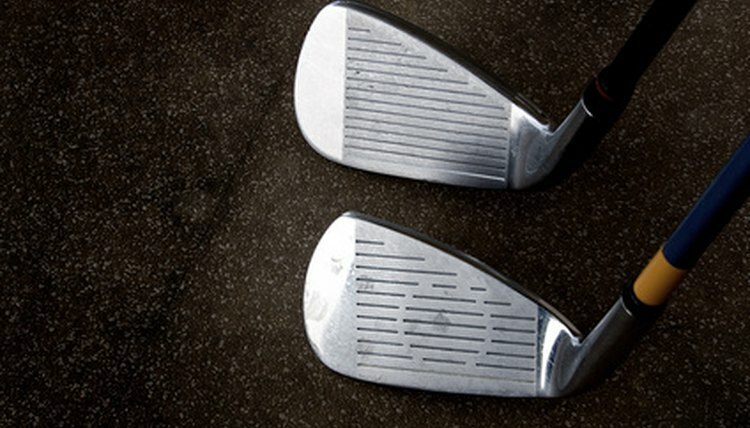 They create more momentum and therefore require a more stable stance than that of your mid irons. The length of the shaft also affects your swing arc; therefore, a sweeping type of swing is required. Widen your stance slightly. Position the ball 1 or 2 inches left of center. Place your weight slightly more on your right foot. Do not force the shot, but make it smooth and unhurried. 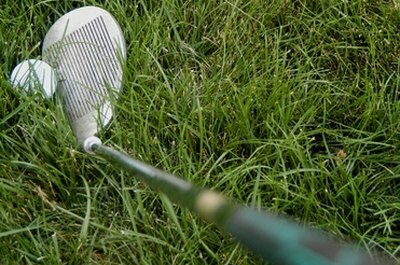 Mid irons can help you out of the rough. The mid irons--5, 6 and 7--are easier to work with, as they have shorter shafts and a higher degree of loft, making them popular to use on the fairway. Proper stance is key to producing a high, straight shot. For the mid irons, play the ball in the center of your stance. To get the ball airborne, hit down into the ball. Don't try scooping the ball off the turf, as this will not produce a long, high shot. Keep your arms relaxed and extend down and through the ball. 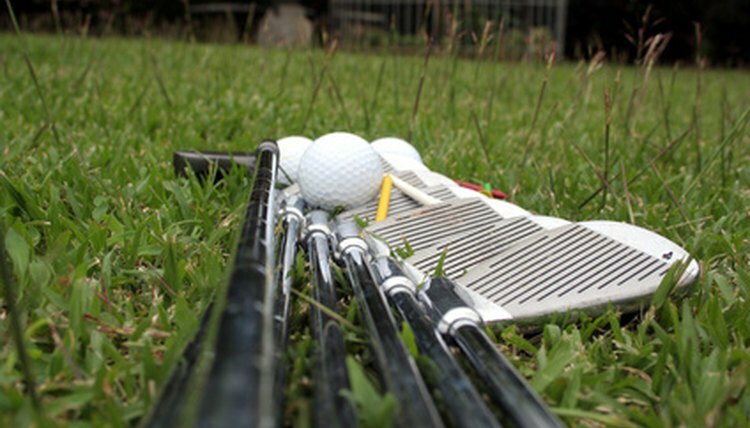 Short irons are used to get the ball up quickly. The short irons--8, 9, pitching wedge and sand wedge--are the approach shot, stroke-saver irons with much shorter shafts and higher lofts. These clubs are designed to achieve a shorter distance but higher flight on your ball, allowing it to stop more quickly on the green. For these short irons, narrow your stance and place more of your weight on your left side to promote a more descending blow. The narrow stance will inhibit mobility.